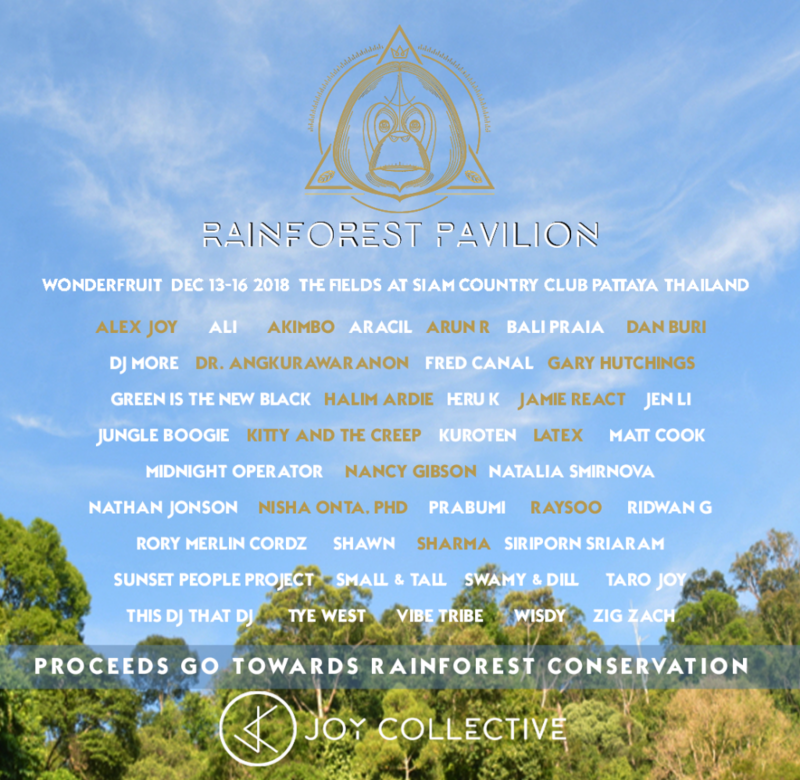 After a triumphant two years, Joy Collective makes a welcome return to The Fields with their Rainforest Pavilion. The interactive installation and performance venue is modeled after a rainforest but goes beyond interpreting its beauty towards actually preserving it – all funds earned at the pavilion will be used to purchase land for permanent conservation. This year’s iteration comes from seminal designer Matteo Messervy who promises a treat for the all the senses. Visuals will capture Indonesia’s endangered rainforests against a soundtrack from some of the best talents out of the country's burgeoning electronic music scene. 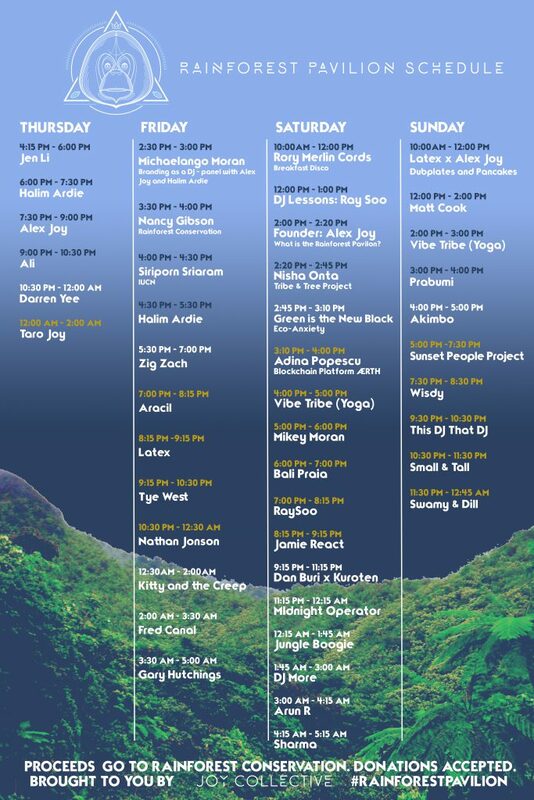 after dusk, an international lineup of DJs hits the decks while the daytime, sees an inspiring program of workshops for your mind, body and soul.